Animal communication has been around and used by many. A helpful way to think of it is tuning into a radio station or a certain frequency to connect. Animals speak to me in many ways and each animal is unique in how they interact. For me, animal communication goes much deeper than just a conversation. When I communicate with an animal I receive the deeper messages behind an issue or concern the owner might have. Through this ability I am truly able to help both the animal and owner heal and transform old patterns that are no longer serving them. The divine gifts and messages animals bring forth to share with humans are truly amazing and your animal is here to share those with you! 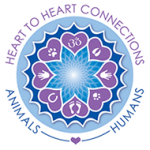 To learn more about the energetic healing connection what animals click here. To schedule your session click here!